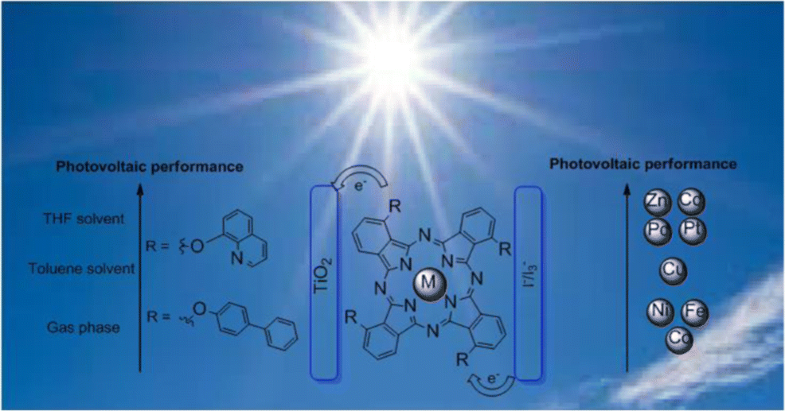 The present work carried out a theoretical study of the electronic structures, absorption spectra, and photovoltaic performance of two series of transition metal-phthalocyanine derived from nonperipheral electron-donating substituents, either (2-phenyl) phenoxy(M-PC1) or quinoleinoxy(M-PC2). The DFT and TD-DFT were employed for this study. 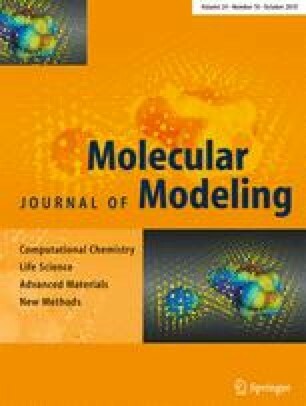 The effect of modifying the central metal atoms and the substitution on cell performance were investigated in terms of polarizability (α), hyper-polarizability (β), chemical potential (μ), chemical hardness (η), electrophilicity power (ω), FMOs, energy gaps, UV/vis absorption spectra and injected driving force (ΔGinject), light harvesting efficiencies (LHE), total reorganization energy (λtot), open circuit photovoltage (Voc), and life time of the excited state (τ). The results obtained by using these parameters showed that the replacement of (2-phenyl) phenoxy by a proposed substituent such as quinoleinoxy would increase the hyper-polarizability, light harvesting efficiency, and open circuit photovoltage, while on the other hand the reorganization energy and the injection driving force are decreased. Modifying central metal atoms, such as Zn, Cd, Pd, and Pt, exhibited good performance in terms of the driving force of electron injection, charge transfer characteristics, and dye reorganization as compared with the Cu reference dye. The findings provided a useful prediction and perspective for the promising future for high-efficiency dye-sensitized solar cells (DSSCs) with dyes based on phthalocyanine. The online version of this article ( https://doi.org/10.1007/s00894-018-3821-6) contains supplementary material, which is available to authorized users.